We have been waiting for the results of Scarlett’s bone marrow aspirate since last Friday. The test measures the maximum residual disease (MRD) or how many leukemia cells remain in her marrow. The goal is to be less than 0.1%. That level would put her in the low risk category which means less chemo which means less side effects. At day 8, Scarlett’s levels were below this 0.1% so there was no doubt in my mind that she would be again. This would mean that she was officially in remission. Unfortunately, Scarlett’s MRD was 0.15%. This means she is in the intermediate risk group. The part that scares me even more is that her MRD went up during chemo. Since she is already having more serious side effects now (the leg weakness), we may have to start physical therapy. I am concerned about the long term side effects now as well. Being in that low risk group meant less chemo and less risk of those long term effects like learning difficulties, vision problems, and infertility. 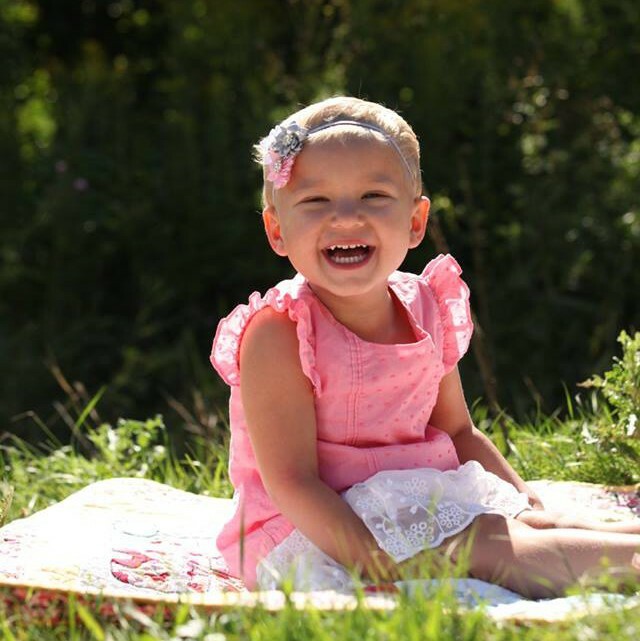 Now she will be exposed to higher levels of chemo and the possibility of those side effects increases. Just because of a stupid 0.06%! I cried the whole way home. I didn’t want to have to tell Brock that her MRD increased instead of decreased. I am sick of getting bad news. I’m even more mad than I am scared or disappointed. She has been so brave and fighting so hard! Give her a break for gosh sake! When I walked in the door, Evie ran to meet me. Scarlett was slowly following behind because she can barely walk any more. She has to crawl most of the time. It just breaks my heart to watch my formerly healthy, active baby crawling. She learned to walk at 9 months old. And now she hasn’t walked consistently in over 2 months. But then I pick her up and all I can think about is holding her. She snuggles in so sweetly and makes me feel so at home. I stop crying. I stop questioning. I stop hurting. Because I am home when she is in my arms. This little step backward will not stop us from our goal. She will fight because fighting is all she knows (which in itself breaks my heart). She will do it with a smile as best she can. So it’s my responsibility to do the same for her. As a Mom and a Grandma,my heart is so heavy for what you are going through. I can only imagine the depth of emotions you must deal with. I keep you, Scarlett, and your family in my prayers daily–I have asked that our church pray for Scarlett.